Two Meatballs: am I fat because I’m Italian?!?! Guess what ………….it’s Jenny!!! And of course not!!!!!! There is no way I am fat just because I’m Italian!! That’s ridiculous…….I know, but it is really easy to blame it on that, or my mother, or my grandmother. But it is not them either. 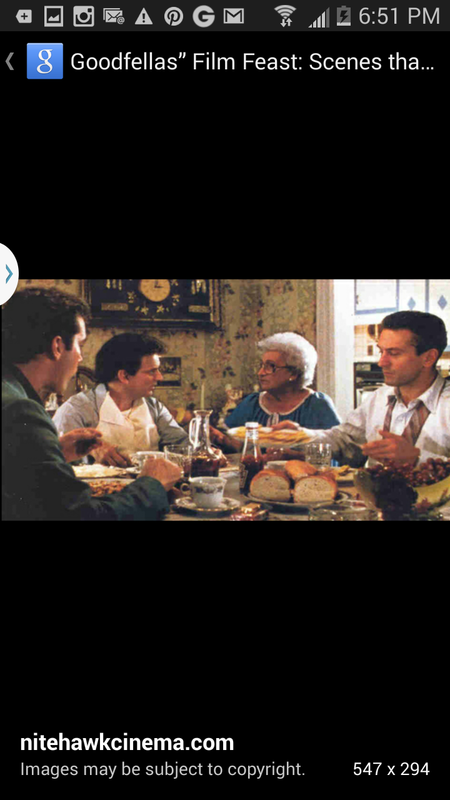 ( I always kind of think of My big fat Greek wedding) I always feel like Greeks and Italians are distant cousins. That bleached mustache is classic Italian!!! I love watching movies. Especially those like Good fellas. 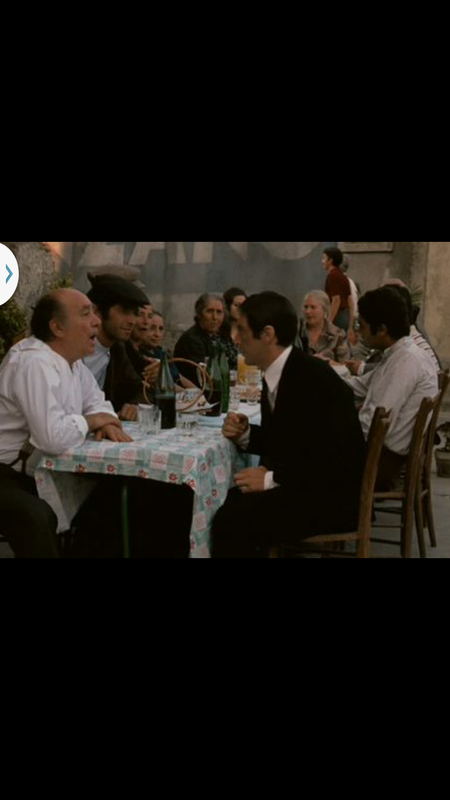 A good old Italian gangster movie. 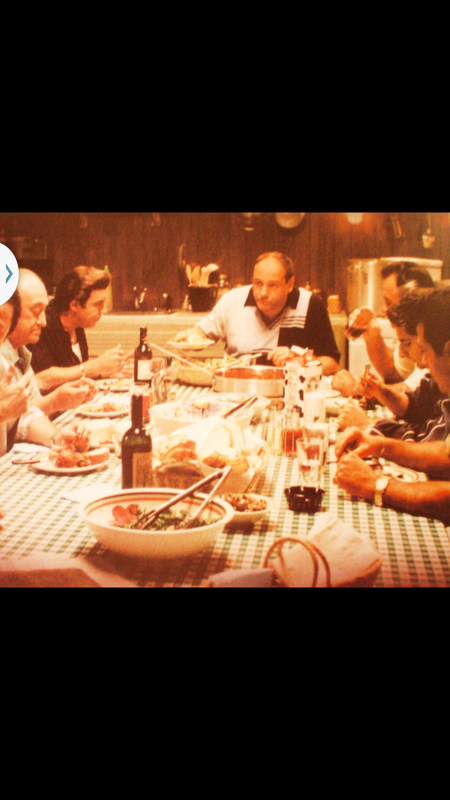 All of them have parts, where the family gets together for a big Italian dinner. I always found this part so relatable! This women could totally pass as my grandmother. I loved eat, pray, love. Especially when Julia Roberts goes to Italian and openly talks about the food, family and weight she gained! These scenes have to be in there!!! It is who we are. Not only is every holiday and birthday centered around the table with way to much food for 8 people, but every Sunday it is the same way!! That is how we celebrate and give thanks, and have quality time. We would sit around the table for hours!!!! And I loved it growing up. I loved hearing old stories and seeing my parents crack up with all the old people. My grandmother took so much pride in her sauce, and making every noodle, every meatball, and pretty much everything in general. I was named after her and our bound was instant. Her house smelled of bleach and sauce. So comforting! When my parents got divorced I was 8 and we moved in with my “Nanny and Popper” for 3 months. This might be when the comfort food eating started. Nanny would have given me anything I wanted. I am sure she just wanted to see me happy and smiling again. I was sad my parents were separating, and I had to move and go to a new school. All I had was my comfy Italian family. Who hated to see me and my brother and sister down. This is when I remeber seeing physical changes in my weight. I think it is really confusing as a kid because you don”t really think you are doing anything different then other kids. They are all eating with there families right?!? but I would sleep over my friends house and go to bed still really hungry and it all kind of became more clear. But as a kid I felt powerless to change it. At some point you just decide this is who I am. I didn’t want to be different then my family. SHOCKER……I still don’t. Which is why I think Christmas was tough for me. My family is my comfort. I am trying hard to rewrite the story in my own home. 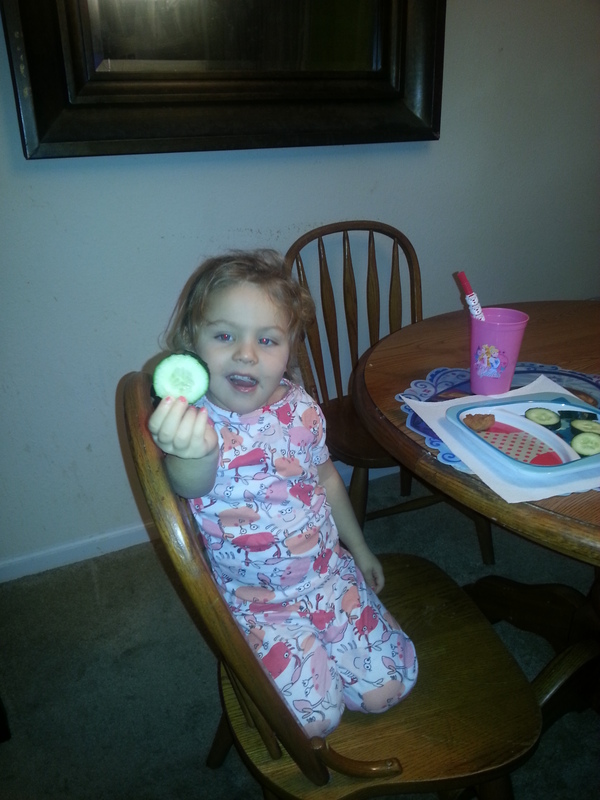 Always trying to having healthy snacks like cucumbers. We only have water and milk in the house. 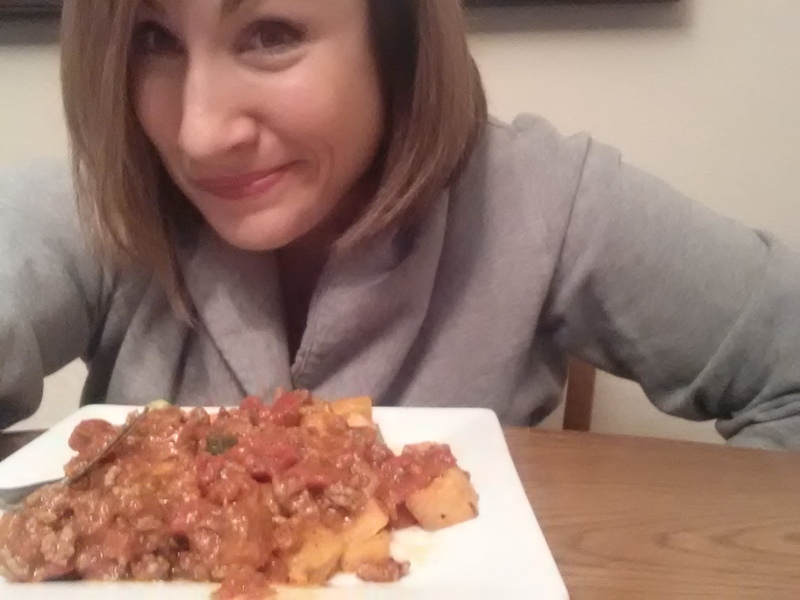 And I make hot paleo comfort meals as many nights a week as I can! Tonight we had paleo ratatouille! I think it was great becuase I made it and got to share my pride for good healthy with my family! I love Brandon and London and myself to much to drop the ball. I slipped up for a while but it feels and taste really good to have integrity. And I know that comes when I play by the rules. Thanks for your support guys! i will get to my goal!!!!! 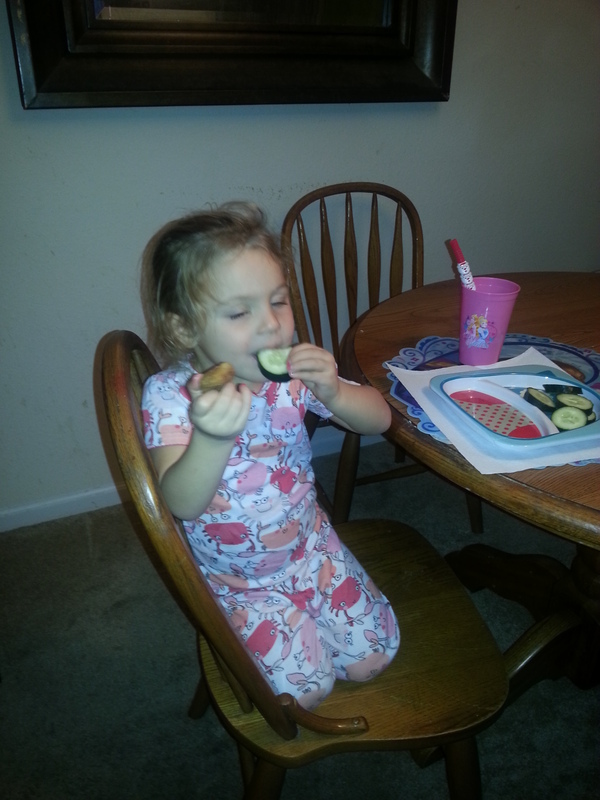 ← Two Meatballs: How Much Fun Can Two Meatballs Have…A TON!!!! Thanks for sharing your life Jenny!! This is so relatable!! You guys are amazing! Love you!!! You are amazing! We are so proud and here for you Jenny. Love you and your family!! Love the beards!!! You guys are the best!